At IFA 2015 in Berlin, Sony unveiled new devices in the Z5 series. 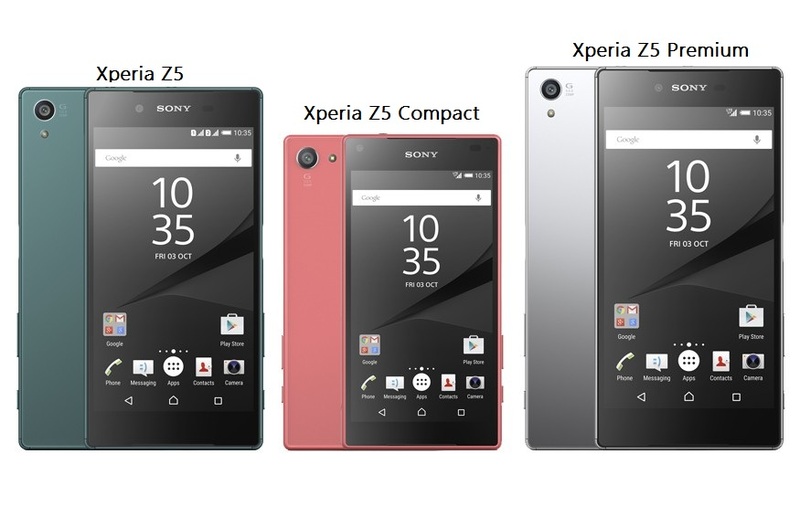 The Xperia Z5, Xperia Z5 Compact, and Xperia Z5 Premium. Running the new phones is the Snapdragon 810 processor, with 2GB of RAM in the Compact, and 3GB in the Z5 and Z5 Premium. All three phones feature the new, conveniently placed, fingerprint scanner in the power button on the side, they each have a lightning fast 23-megapixel camera, and there's plenty of power under the hood. The regular Xperia Z5 is a 5.2-inch device with a 1080p display and 2,900mAh battery, while the Xperia Z5 Compact downsizes to a 4.6-inch 720p screen and a 2,700mAh battery. The Z5 Premium boasts a 5.5-inch 4K Ultra HD display at 3840x2160 resolution, making for a ridiculous 806 pixels per inch. It's the world's first 4K smartphone, which is powered by a Snapdragon 810 processor and it comes with 3430mAh battery with quick charging support. It comes with 32GB internal storage, with the capability to take a 200GB external microSD card, which offers extra room for 4K videos and movies. Sony Xperia Z5, Xperia Z5 Compact, and Xperia Z5 Premium are ideal handsets for watching iTunes HD movies. We can learn from Sony official website that Xperia Z5 series can support playing videos in MPEG-4, H.264, H.263 and WMV formats. Obviously, they can't play iTunes M4V movies directly. If you want to play iTunes movies on Sony Xperia Z5 series, you should use a third-party software, which can convert iTunes movies to common videos formats supported by the Xperia Z5 series. 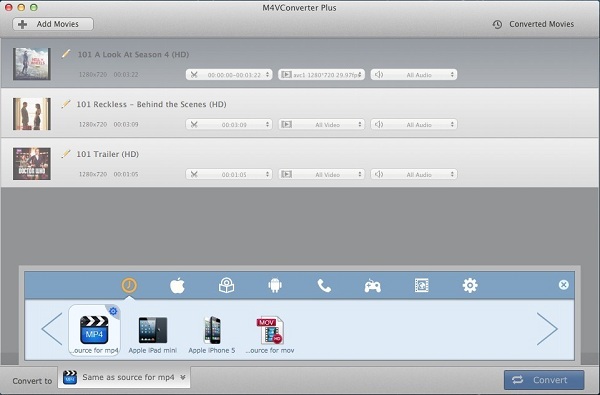 M4V Converter Plus is one of the best recommendations for you. It is a simple iTunes DRM media Converter, as well as DRM removal software. With it, you can get rid of DRM protection of iTunes purchased movies, Rentals, TV episodes and music videos. It helps you to convert iTunes protected M4V videos to common MP4, MOV, WMV with perfectly output quality. Besides, this professional DRM Media Converter can also retain subtitles and audio track (including 5.1 audio track). Step 1. 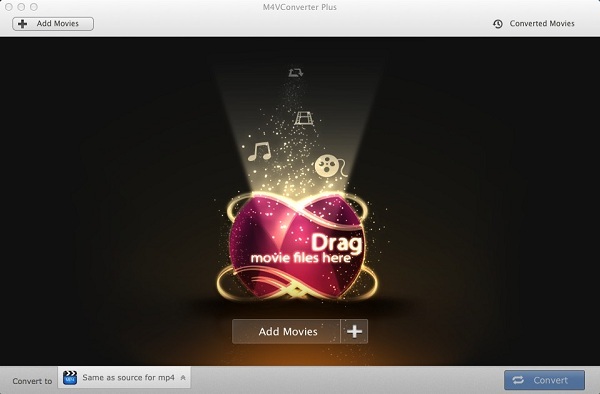 Download M4V Converter Plus, install and run it. Import iTunes movies to this program in two ways. 1>	Click Add Movies button to choose video files from your iTunes library for converting. 2>	Drag the iTunes movies you want to convert to the main window directly. 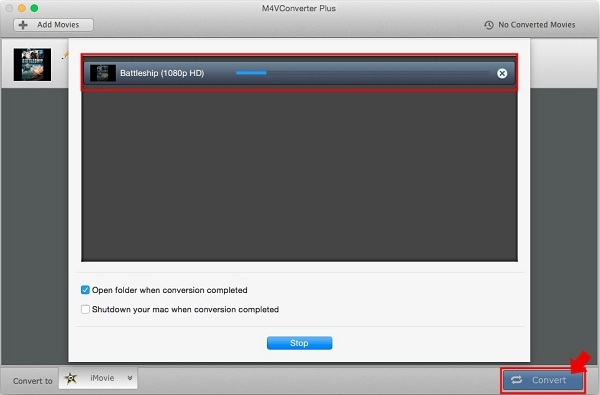 M4V Converter Plus can also support batch conversion. Step 2. After iTunes movies added, click the Convert to profile drop-down list to choose a proper output format supported by Sony Xperia Z5 series. Step 3. Click Convert to start the conversion. Tips: If you want to transfer iTunes movies to Sony Xperia Z5, Z5 Compact and Z5 Premium, just connect the phone with your PC via a USB cable. Once the two devices are connected, you can drag and drop the converted iTunes movies between your device and the computer, or between your device's internal storage and SD card.